touches of sense...: A doll's house. 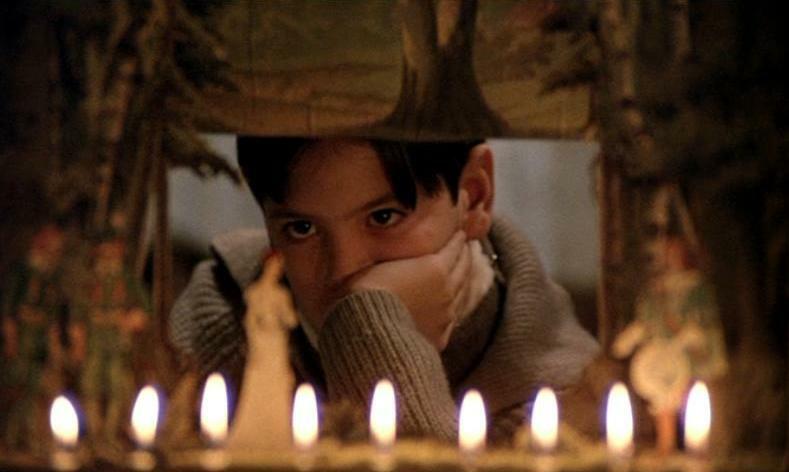 Still from Fanny and Alexander. Bergmann. Sight came quite unexpectedly to me, late in years, one moment in the early hours. There it had been. An ideal interior it was, insistent, in intelligent design. Cutesy curtained windows, cottagey feel, it was life in toy-form. As I dreamt, I was able to lucidly study the space that I had just left. It was really quite attractive. It felt homely. While on first inspection alien, it had a strange familiarity. What had fooled me were its interior dimensions. They were tiny, clearly inadapted to any adult life. I was certainly outside now, I could stand up. I had been lodging quite unconsciously until that moment, in a cramped-up bijou habitat. How on earth could I have been so blind, or small? "Bloody ridiculous!" I blinked stupidly. I could just about put a foot through that front door, down there, but no more of my body would now fit in. Dull for so long to pain, the diagnosis was now apparent. Looking back, I was there...standing above a wavering light. I took a deep breath. The door was behind me. I took my bearings, in the darkness. I felt a slight sea breeze, its perfume filled my nostrils. I felt no longer the dulling anxiety. I had changed position. It was over. I was no longer accessory to someone's play-space. I felt a sad empathy for the child, the children. Consumed from inside, hollow, hollow they had been, ever greedy for more...to fill a void. "What is inside was becoming doubt. Fear not. There, is your way..."
"For things are things because of mind, as mind is mind because of things." “HELMER; But this is disgraceful. Is this the way you neglect your most sacred duties? HELMER: Do I have to tell you that? Isn't it your duty to your husband and children? HELMER: You can't have. What duty do you mean?